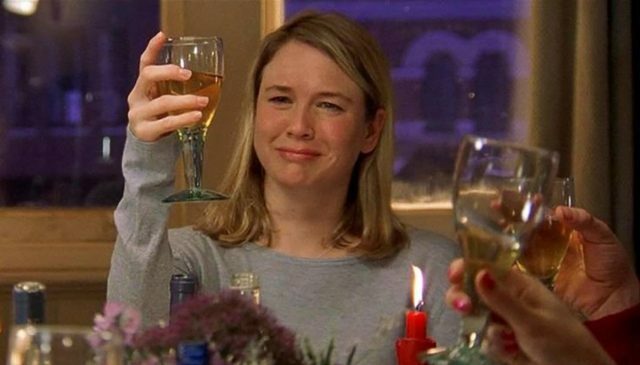 Having once been associated with Bridget Jones mid meltdown, Chardonnay has risen phoenix-like from the ashes to become the most popular wine in America. According to a recent survey of 2,000 consumers by Jordan Winery in Sonoma County, California, Chardonnay is the variety that Americans drink most regularly – adding weight to Kendall-Jackson’s plea for a white wine emoji. The survey also found that Americans like their wines smooth and fruity, so it’s not surprising that the most popular gateway grape that got them into wine was Zinfandel. According to the Jordan survey, the average American experiences their “wine awakening” at the age of 29, when they first start showing a real interest in it. The survey also found that most Americans are introduced to wine by a friend, with 21% discovering it on their own and 17% being lured into it by a partner. It also revealed that wine knowledge is on the rise, with millennial respondents able to name more grape varieties than their older counterparts. Millennials are also getting into wine at a younger age then their predecessors. The Jordan survey found that Americans drink an average of two glasses of wine two nights a week, with one in four cracking open the wine four or more nights a week to enjoy with a meal. “It’s always great to be reminded that we’ve been on the right path with making wines specifically to pair with a broad range of foods,” said John Jordan, owner of Jordan Winery. “I’m still surprised so many California winemakers have chosen to produce over-the-top wines that are high in alcohol and tannin, making them destructive at the dinner table,” he added. Interestingly, the study revealed that 64% of Americans are more likely to drink wine at home than at a restaurant. “We’ve seen a significant increase in winery direct purchases for home consumption over the last five years,” Jordan said. When it comes to restaurant wine lists, the Americans surveyed tended to play it safe with a brand they trust rather than choose a wine they’d never tried before. “Once you earn the trust of your customer, if you keep your promise and always deliver a quality product, they will remember you,” Jordan said. I wouldn’t say Chardonnay had to rise from the ashes. It has been the top-selling wine in America (by far) for many, many years. No disrespecting Chardonnay producers, but its a big world out there. Speaking as a retail wine merchant, I wheedle and cajole and (dare I say it) even good-naturedly “shame” customers into trying something — anything — outside of their comfort white wine zone. What influences a wine buyer’s retail purchase decision is an interesting marketing question. Here in the United States, let me share the results of three market research studies. Each will be its own comment for brevity’s sake. According to the data presented by [David] Francke [managing director of California’s Folio Fine Wine Partners], US wine drinking is compressed into a small segment of the population. SIXTEEN PERCENT OF CORE WINE DRINKERS consume wine once a week or more frequently, which ACCOUNTS FOR AROUND 96 PERCENT OF CONSUMPTION. Thirty-five million adults drink virtually all of the wine sold in America, Francke said. Wine Intelligence has studied the US wine market in detail and categorised the wine drinking population — which it measures at 47 million . . .
“Fully 40% of U.S. consumers who buy alcoholic beverages haven’t decided what they’re going to purchase when they walk into the store, according to a new study from IRI. “Of the 60% who do have a planned beverage purchase, 21% end up changing their minds in store, and 50% of those who change their minds ultimately buy a different brand than they originally intended. “All of which points to ‘immense’ opportunities for alcohol manufacturers to find new pockets of growth by engaging and influencing consumers while they’re in the store, point out IRI’s analysts. i can’t tell if this comment is “awaiting moderation” . . . or that it didn’t successfully upload.